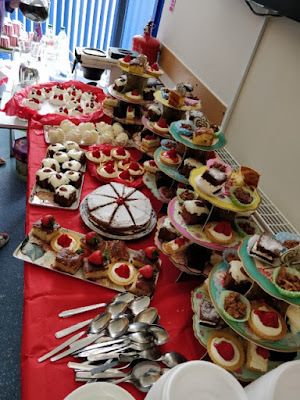 This year we joined in The Big Lunch on Saturday 11th August and welcomed the local community into the church for a fantastic lunch and get-together...oh and some amazing cakes! Well done to Rae Wilson for organising the event. Balfron Church is on Facebook and Twitter. Stirling Presbytery is also on Facebook. The Church of Scotland is on Facebook and Twitter. Details of how to find us can be found on our Visiting information page. Registered Charity No: SC005335. © 2016 Balfron Church. All Rights Reserved.